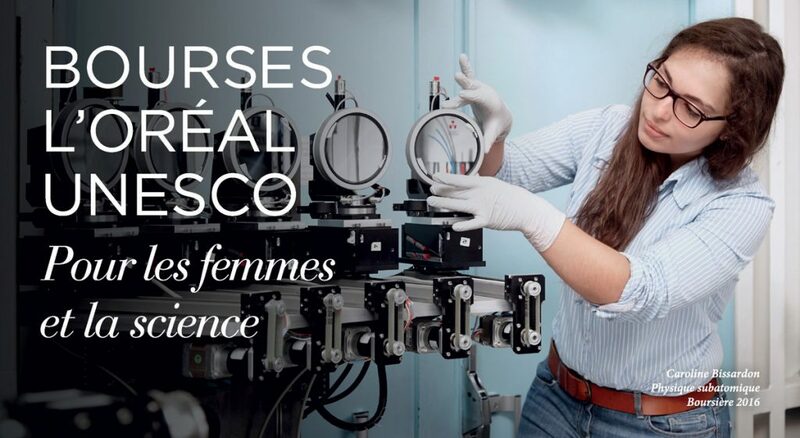 In 2016, two young researchers from Labex UnivEarthS won a grant from the L’Oréal-UNESCO For Women in Science program: Eleonora Capocasa and Valerie Domcke. The program, created in 2007, aims to reveal and reward talented young women researchers. The L’Oréal Foundation, in partnership with UNESCO and the Académie des Sciences, announced the opening of the 2017 french edition of the L’Oréal-UNESCO fellowships for Women and Science. The Foundation will award 30 grants: € 15,000 each to doctoral students and € 20,000 each to post-doctoral fellows. UnivEarthS wishes to encourage its young researchers to promote the excellence of their work through this award. You can consult the program page to find out more and submit an application on the dedicated platform. Do not hesitate to ask your team leaders to help you, and the communication officer of UnivEarthS (C.Epitalon) to mount your application. The deadline for submission of applications is Monday, March 27, 2017.